Wood Campus Timber Trade Topics are produced in collaboration with the Timber Trade Federation. For further information, visit www.ttf.co.uk. Builder’s App – A free phone app used as a guide to calculate spans, strengths and quantities. Eurocode 5 Span Tables for download. The following span tables are indicative of some of the spans required for domestic floor joists where C16 and C24 strength classes are used. 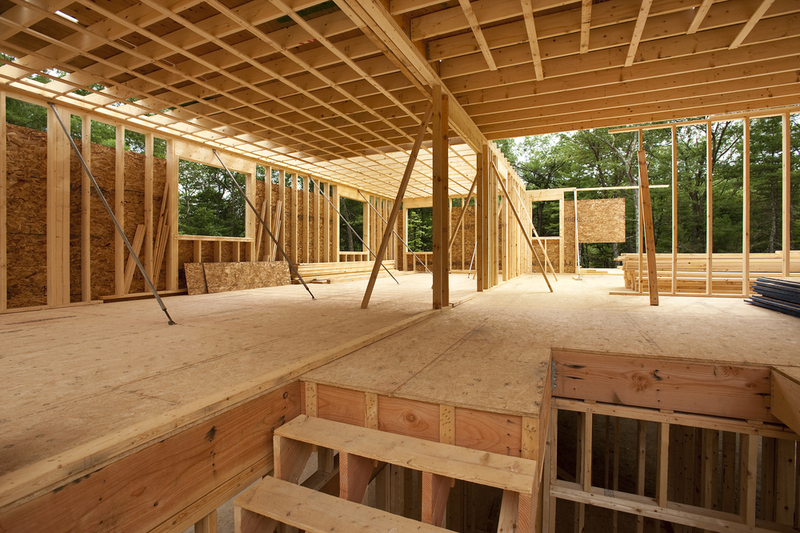 They refer to a dead load of not more than 0.5kN/m2 (excluding the weight of the joist) and an imposed load not exceeding 1.5 kN/m2. Always consult Eurocode 5 Span Tables when calculating spans. For extended use, specify pressure treated timber. The load a member can carry depends on several factors, including its span, thickness, width and species. Usually, the deeper and wider the section, the longer the span. Span tables determine the size of a timber member of a particular strength class required for a given span, as well as the maximum spacing between each section or timber member. 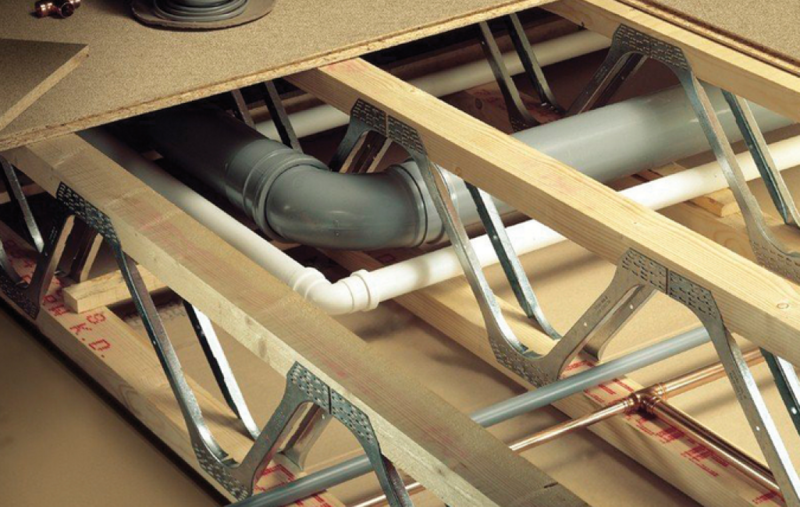 The following examples, which apply to solid timber members, give an illustration of how to use span tables for domestic floor joists at 400mm centres. 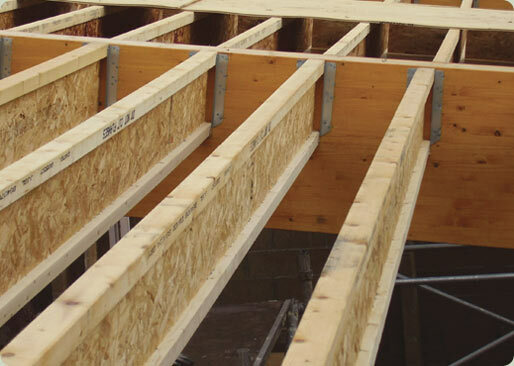 The introduction of specially engineered timber products, such as glulam beams, I-joists and metal web joists provides solutions across a larger range of depths and spans, and shrinkage after installation is likely to be smaller. 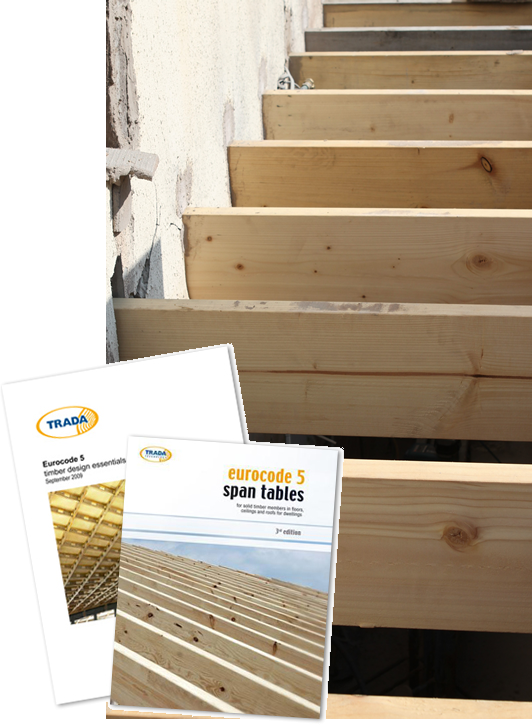 When using these products please refer to the manufacturer’s own literature and span tables, which are usually available from your timber supplier. Changing to 600mm centres will change the span distances for the same timber sizes. So if you wanted to span four metres at 600mm centres, you could use the lighter-weight option of 38mm x 220mm C24 instead of 47mm x 220mm C16.